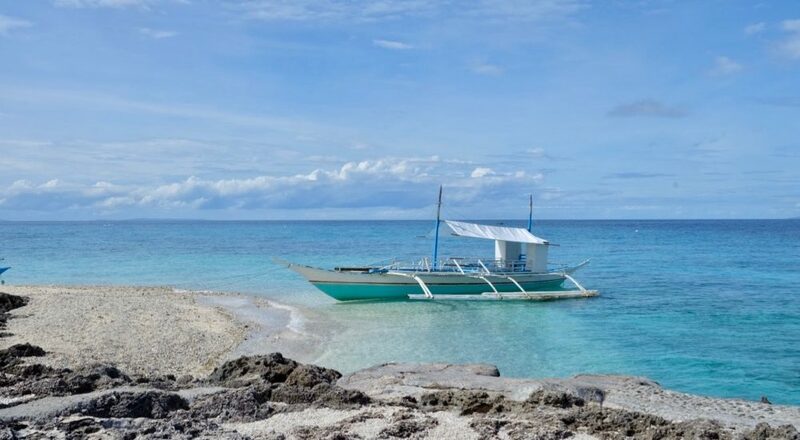 Bantayan, Malapascua, and recently, Carnaza may be the most-talked about northern destinations in Cebu, but equally deserving attention is the town of Tabogon. If you haven’t heard of this town before, then this charming coastal retreat may be a bit of a discovery. Are you up for it? Choose Tabogon as your next weekend or mid-week destination and you won’t need to travel far from the city for a scene-changing trip. Here’s how I spent 24 hours in this town together with Pinoy Travel Bloggers Aleah, Jeane, Christopher, and Gly, with Bunzies Cove as our homebase. Start by checking in at Bunzies Cove. Located in the languid town of Tabogon, Bunzies Cove is a waterfront refuge just over three hours away from Cebu City. The property is also known for its dramatic views of the boat-strewn cove and the vast sea. 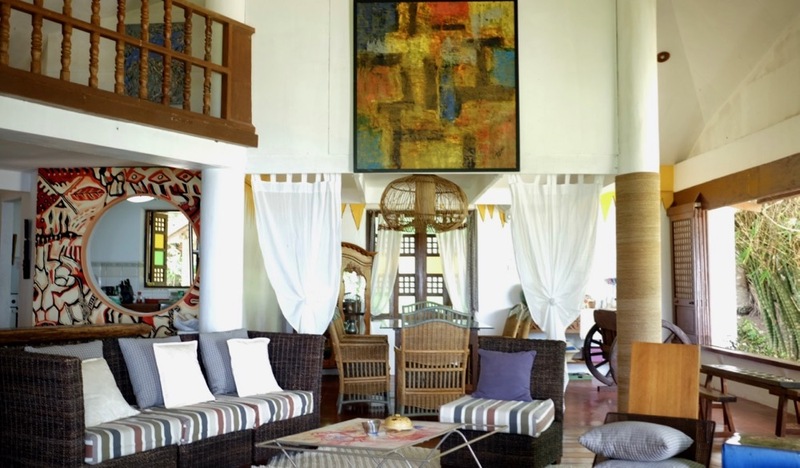 Each beach house (Bunzies Bungalow, Payag Villa, Seaview Cliff Suite, The Villa, or Lookout) has its own charm and caters to different groups of travelers. Decorated with lovely paintings (for sale), artistic pieces, and quaint furniture, you’d wish you have all day to appreciate Bunzies’ interior. Mount the stairs, step into the rooms, and pause to admire this holiday’s home architecture designed to withstand storms and put guests at ease. Before it was a beach house for rent, the owners came to Bunzies Cove to escape the hustle and bustle of the city. Ergo, the atmosphere in the property is homey – you will even find old photos of its early dwellers, assorted hats you can borrow, and books as well as magazines you can devour for hours. After settling in and checking out all intriguing corners of Bunzies Cove, it’s time to explore the town. 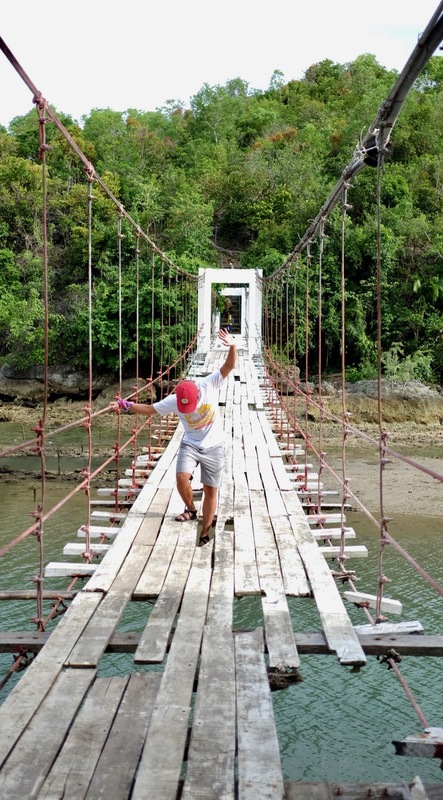 For thrillseekers, Tabogon’s Hanging Bridge is a must-visit. As soon as I saw the bridge, I renamed it “The Broken Bridge.” But the locals would disagree with me because the bridge is completely functional, helping residents cross barangays in record time. I didn’t dare step on the bridge. Even my brave companions did not complete the end-to-end journey. The river below the long bridge was shallow so the chance of surviving a fall is low. Scratch that, impossible. Only a few tourists stop here for social media bragging rights. While I would blissfully skip this bridge, those who enjoy the adrenaline rush might want to go for it. Mystery surrounds the shrine of the headless virgin statue in Salag, Tabogon. According to a few locals, some Moro pirates or sailors stole the head of the virgin’s figurine. When the residents tried to replace the head, they had trouble carrying the statue away from the shore because it suddenly grew heavy so they decided to leave it where it was, forming what looked like an altar. Now, Tabogon’s headless virgin attracts devotees and visitors who are not only interested in its story but also curious with the views surrounding the shrine. Whether the story about the head plundering or the statue’s miraculous heaviness was true, no one complains walking 30-40 minutes for a glimpse of the bizarre virgin. Come evening, you would have worked up an appetite for heavy dinner. Luckily, Bunzies Cove has a private cook available on request. 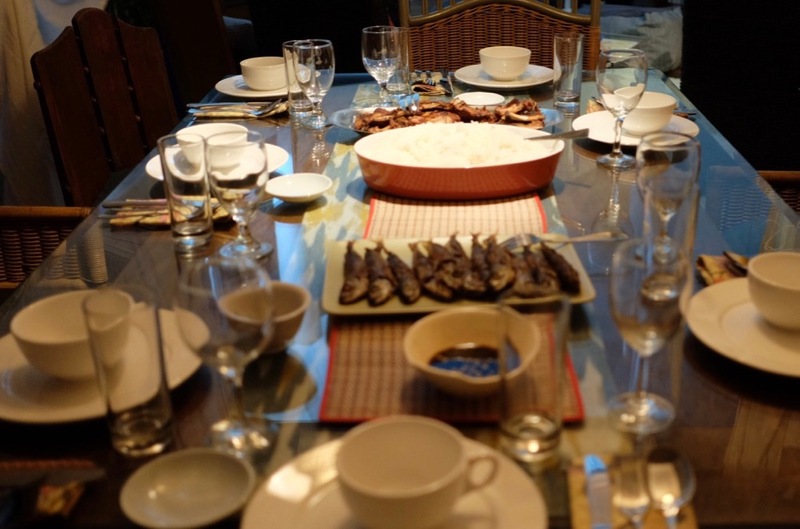 Her specialty is Filipino food, from fried fish to grilled pork to sinigang. Of course, everything comes with rice. You may finish off with a cup of coffee (from french press) or you may choose to wind down with a glass of wine. Why was it called Capitancillo? According to folklore, Capitan Basillo, a commander of a Spanish trading vessel, committed a grave crime against Rajah Bugtopasan’s allies and fled Mactan Island. To exact vengeance, Bugtopasan chased the captain, caught up with him, and cast a spell on the skipper. The result? A spell-binding islet appeared where the captain’s boat was last seen. 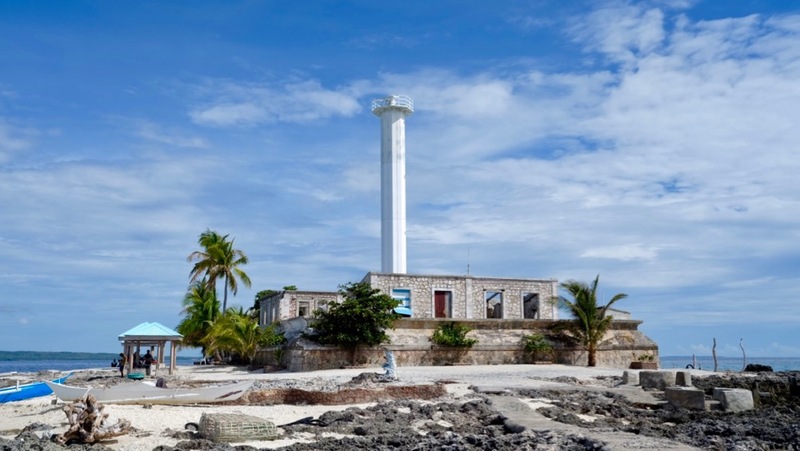 If you’re staying at Bunzies, you could book a boat trip to this coral island, enjoy its three dive sites, and gawk at the singular beauty of the solar-powered, 25-meter-high, 113-year old lighthouse. Bring your own snorkeling gear and underwater camera as these are not offered on the island. 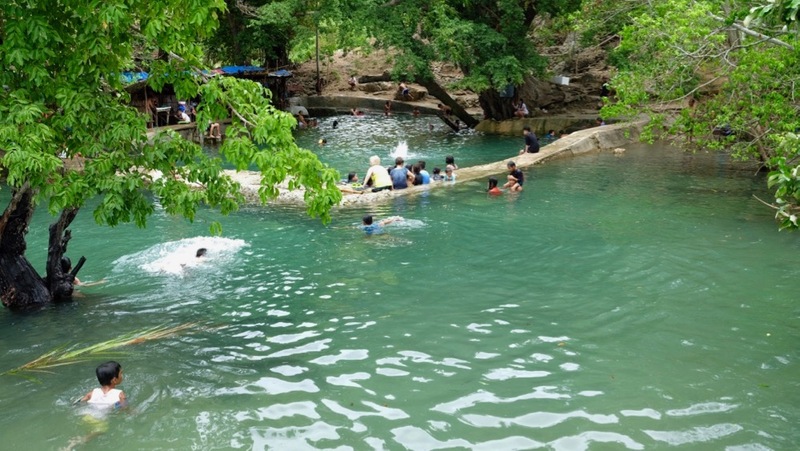 After a leisurely stroll or a fun dive at Capitancillo, you can ask the boatmen to take you to Guiwanon Cold Spring for a quick, cool dip. Here is where the salt water meets the freshwater pond. During school summer vacations, this spot can be crowded with local children along with their families, making the most of their last free days. That isn’t so bad if you feel like blending in or bonding with Tabogon residents. Though short, I felt remarkably gratified by our excursion in Tabogon and its surrounding areas. I totally felt enriched and refreshed after this trip. 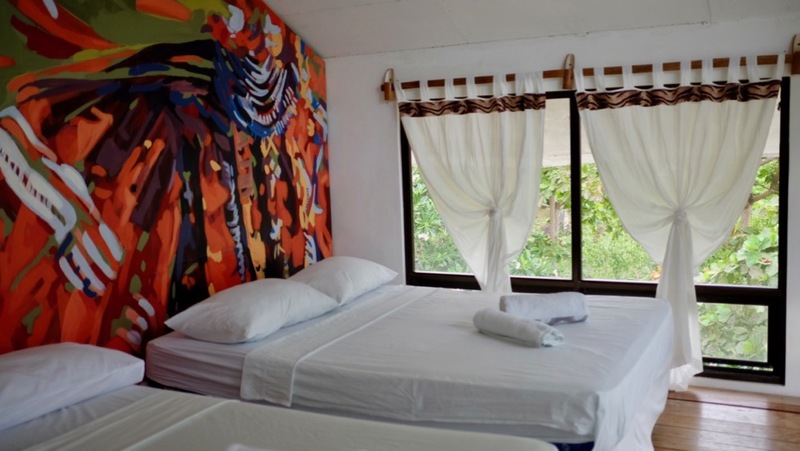 What more could you ask for a short weekend away from Cebu City? Tabogon’s treats and treasures await. When will you come for a visit? Disclosure: Although I was a guest of Bunzies Cove, all opinions in this post are mine. Special thanks to Aleah (The Solitary Wanderer Blogger) for extending the invitation to me as well to Beth of Bunzies Cove for her hospitality.